20 year Irish RnB artist Gabriella Marsella has recently signed a management deal with the Irish owned ‘So Management Agency‘and has secured a deal with top London Hip-Hop/RnB producer Laurence “Woo” Allen. Mr Woo, who has produced tracks with Death Row Records, and worked with artists such as Cam’ron and Ja-Rule, will produce Gabriella’s debut album, due for release in 2012.Gabriella also collaborated with Irish emcee Nucentz on Had Enough- the competition winning track that will soon feature rap star Lupe Fiasco. Rap Ireland recently met up with Gabriella to find out what’s next in store for the talented songstress. Gabriella Marsella: Well I’ve lived in Drogeheda my whole life, I come from an Irish/Italian background. My Dad is Irish/Italian and my Mam is Irish. I’ve 2 brothers, a sister, and a 3 year old son. Rap Ireland: When did you become involved in music industry? Gabriella: I first became involved when I was around 11. Mam sent me and my sister to stage school and I loved it. I intially started off dancing, I didn’t actually start singing until I was about 14, and then the stage school teacher start putting me in songs for the shows and stuff like that. Then when I was 16, I took a break for a few years, but then I got back into dancing and singing when I was at college. Then last year my Mam applied for me to audition for FAME-The Musical. They rang her the day before telling her I had an audition, so she came into me and said “listen you’ve got an audtion tomorrow”. I didn’t even have a clue what it was for, I was told to prepare a musical type song, so we were running around like lunatics the day before trying to get music sheets sorted and that. So I went up for the audtion anyway and they put me through to FAME school , which was sort of like the bootcamp in X-factor. I love to do auditions- It was a really good experience. They aired my audition on the TV and my manager Steve saw it. Rap Ireland: Is that how you hooked up with So Management Agency? Gabriella: Yeh Steve seen me on the telly and he was running auditions for a girl-band at that time. He added me on facebook and asked me to come down to the auditions, so I went down to them and I kind of thought “alright just another audition”. We got down there late, I think we were one of the last people in the line, but we got in inanyways and met all the girls. Then I got called back for another audition- a dancing round. I ended up getting a final call back and I got into the band, but for one reason or another the band didn’t go ahead. Afterwards So Management signed me up as a solo artist. Rap Ireland: What type of dancing do you do? Gabriella: I do a mix of everything, I absolutley love hip-hop dancing, that would be more what i gear towards. When I started in the stage school, it was obviously a range of different dance styles, but then I started doing hip-hop and I fell in love with it. I tried to do a bit of break dancing at one stage but that didn’t work out too well haha. Then I got back into hiphop dancing as part of a club in college. Rap Ireland: Have you start working with producer ‘Mr Woo’ yet? Gabriella: Yeh, we went over to meet him in June, and we picked out tracks. He let me hear all the songs he had, they were just beats and instrumentals, no lyrics or anything, it was just to get a feel for what I liked. I think out of all the songs there were 40 or 50 songs that i absolutley loved, but he advised me that that would change once I tried to get a flow and lyrics on the tracks. Woo will be producing the whole lot of my album. Rap Ireland: This year you performed for an array of famous Irish sports stars (including Jason Mc Ateer, Bernard Dunne & Bernard Brogan) and 200 VIP guests at John Aldridge Legends Gala Dinner in aid of Autism Ireland. How did that come about? Gabriella: They approached So Management looking for entertainment on the night. I didn’t realise there would be that many famous sports stars at it, I knew it was VIP kind of event but the only person I knew was going to be there was John Aldrige, and I was like “ok that’s grand, bit of pressure but it will be fun”. We only had a few weeks to get ready for it, to get dancers sorted and pick what songs we were going to do. I ended up doing 2 covers and 2 originals to mix it up. It was brilliant experience. Rap Ireland: In the past, you have collaborated with Irish rappers such as Nucentz; How did you become involved in Irish hiphop? Gabriella: It was kind of by fluke! I’m friends with a song writer and a guitarist from Drogehda (Barry Moore from the group Class B) and he was telling me that he was going out to record a few lines for Nucentz’ ‘Had Enough‘ track, and he asked me did I want to come out with him. When I got out there the guy that was recording it for him said “why don’t you jump on the hook and see what it sounds like with a girl and we’ll send Nucentz both versions”. So I did it and we sent it over to Nucentz who absolutely loved it. After the track won SPIN 103.8′s Lupe Fiasco competition, Nucentz then said we should do a follow up to it, so we recorded another song called ‘Makes you a Star” and recorded a video for it. Last week myself and Nucentz recorded another song called ‘Soldier’- it’s absolutely brilliant! Rap Ireland: Lupe Fiasco will feature on the track ‘Had Enough’, when will that be out? Gabriella: I don’t know the exact date, he is currently on tour! Hopefully it will be out soon. 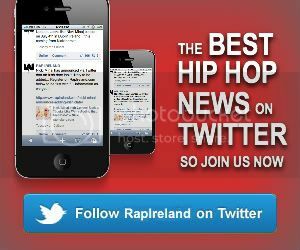 Rap Ireland: Have you plans to work with any other Irish rappers or RnB artists? Gabriella: There’s no plans as such, but Irish rapper Terawrizt was talking about getting me on one of his tracks, which I’d definitely be up for. For now I’m just focusing on the album, we are going over to London next week to start the recording process it so that will be fun. We are going over for a few days, I have a song ready to go so we will spend the time in the recording studio. Rap Ireland: Do you have all the tracks picked for your album? Gabriella: No not yet, we have two tracks there that I will be concentrating on next week. We are going to record a lump of tracks and at the end we will pick out the best ones that we definitley want on the album. Everybody has to be happy in the process, if something’s not right with one of the tracks, we’ll bin it, change it and re-record it until its perfect. We plan to release the album late 2012, it is going to take around 6 months to record. Rap Ireland: Are you writing your own tracks for the album? Gabriella: Yeh I never did before but since the whole thing started with Mr Woo , I want to get into writing my own lyrics. I’ve always wanted to do it but never thought I was able to, but I’m getting a lot of tips from song writers I have spoke to. I’m going to give it a bash and I want some writing input for every single one of the tracks on the album, so that they will be more personal. I will also be working with songwriters from New York. Rap Ireland: Will any other artists feature on your upcoming album? Gabriella: Yes I will be collaborating with a US rapper called Tha Vill; he’s based in L.A and has featured on tracks with The Game and TQ. We also want Nucentz to feature on the album, and my little sister Fabia will be on a track. She has uploaded loads of videos of herself singing on youtube, her cover of Rihann’s California King bed has around 150,000 views! (Check it out HERE) There will also be a couple more surprises here and there on the album! Rap Ireland: Who would you most like to collaborate with? Gabriella: In a perfect world, I would love to collaborate with Chris Brown. I absolutely love him, when he came to Dublin, I went to see both of his shows! Rap Ireland: How would you desribe your sound? Gabriella: It’s a flavour of RnB and pop, I have a mix of both but more so RnB. Rap Ireland: What’s your plans for future? Gabriella: Get my album sorted, we have a few gigs lined up too; hopefully it all goes to plan! Rap Ireland would like to wish Gabriella the best of luck with her upcoming album. Check out her Official Website HERE!